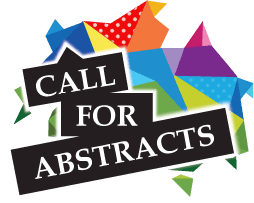 14th International Conference on Biologics and Biosimilars is scheduled to held on August 2-3, 2019 in Chicago, USA. On behalf of the Organizing Committee we welcome you all to join us once again in this elaborately planned Conference which is going to host Keynote Sessions, Plenary sessions, Posters Presentations, Exhibitions and Career Development Programs. Biosimilars 2019 Conference is a one of a kind conference where we will be focusing on Biosimilars potential to change the Pharmaceutical world. With the theme "A new doorway to novel yet affordable medicines", we will try to reason more with why we need Biosimilars in our lives and how can we make it safer and reliable. We will be covering various topics related to the field of Biopharmaceutical, especially Biosimilars in the form of Keynote Sessions, Plenary Sessions, Poster Presentations and Workshops. Why to attend the Conference? Biosimilars being referred to as follow on Biologics calls for overcoming many challenges while it’s development. As comparisons are being drawn from the initial stages, it is very important to have proper scientific as well as strategic approached taken for the successful development of these Biosimilars. 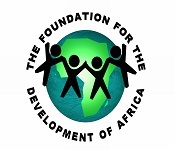 This need for overcoming the challenges continues till the late clinical steps, drug safety factors and labeling requirements. 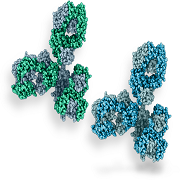 As the demand of Biosimilars is ever increasing in the pharmaceutical market, it is very important to check them properly before releasing it to the mass. That is why there is a stepwise approach towards clinical trials of Biosimilars. It has various levels such as Extensive Molecular characterization Program, Pre-Clinical, Phase 1, Phase 3, Phase 4 and so on. Cancer is something which if treated properly is not hard to beat. Most of the medicines that we currently have for Cancer are way too costly for any common human being, but Cancer being one of the largest cause of death needs proper treatment. This is where Biosimilars come handy. Biosimilars being cheaper can increase access worldwide to potentially life saving biologics. 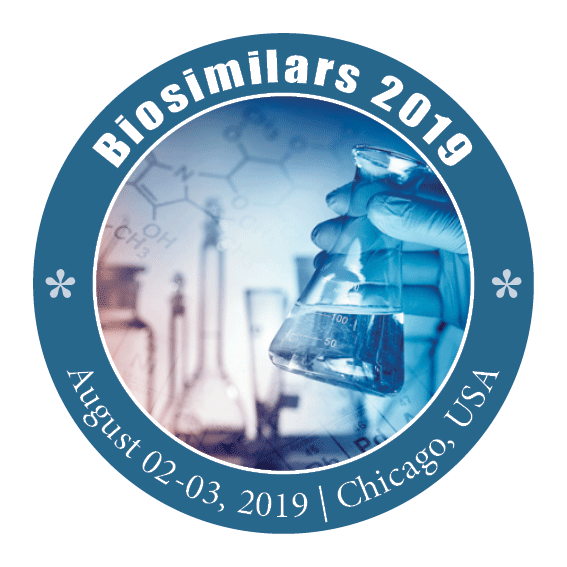 This session of the Biosimilars 2019 will be looking into the future and FDA initiatives that have already been announced to include enhanced tracking and follow-up of post market issues, planned improvements in AERS, and pilots of new post market drug-monitoring strategies. Current challenges in pharmacovigilance, Adverse drug reactions with pharmaceutical products, Biosimilar guidelines for pharmacovigilance practice and pharmacoepidemiology are the points that shall be laid emphasis in this session. Bioequivalence focuses on the equivalence of release of the active pharmaceutical ingredient from the pharmaceutical product and its subsequent absorption into the systemic circulation. This session has utmost importance in context to the fact that only a suitably bioequivalent drug candidate that conforms the results in all respects to the original licensed product can be called as biosimilar drug. Of all attempts towards developing a follow on biologics or a biosimilar drug the main detection point stands at the bioequivalence assessment. Once the bioequivalence has been obtained it can be 70% ascertained the drug qualifies to be a suitable biologics or biosimilars. Biosimilars is a biologic medical product which is copy of an original product that is manufactured by a different company. There are some specific scientific consideration for criteria, design and analysis regarding development of Biosimilars. Biosimilars are officially approved versions of original biosimilar innovator products, and can be manufactured when the original product's patent expires. This session shall be highly beneficial for the biosimilar industry researchers to update themselves on the latest research updates from around the world. This session also finds place for all the biosimilar exhibitions associated with the field of biosimilars and biologics. A biopharmaceutical is also known as a biologic(al) medical product. It is any pharmaceutical drug product which is manufactured in, extracted from, or semisynthesized from biological sources. They are different from totally synthesized pharmaceuticals. They include vaccines, blood and blood components, allergenics, somatic cells, gene therapies, tissues, recombinant therapeutic protein, and living cells used in cell therapy. The safeguarding of product trade secret, its formulations and other process parameters by law is usually covered by IPR. It includes those as patents, copyrights, industrial design rights, trademarks etc. IPR is of prime importance in the field of biologics and biosimilars. Most scientist and industries tend to retain their monopoly business by exercising the IPR. The very name Biosimilars calls for the occurrence of Intellectual Property rights laws and by-laws. Hence this session is of utmost interest to the attorneys and law personnel. The objective of this work was to suggest the biowaivers potential of biopharmaceutical classification system which is known to increase the solubility, dissolution, oral absorption of water insoluble drugs. Biopharmaceutics Classification System and invitro and invivo classification discusses about ADME pathways of different drugs. This also includes BCS biowaivers, In vitro diffusion cells for dissolution testing in formulation development, In vitro preclinical ADME/BCS testing. 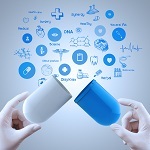 The Patient Protection and Affordable Care Act (PPAC Act) was signed into law in March 2010 in addition to the amendments in the Public Health Service Act (PHS Act) to create an abbreviated approval pathway for biosimilars and follow on biologics. These new statutory provisions are often referred as the Biologics Price Competition and Innovation Act of 2009 (BPCI Act). This track concentrates upon such legal bindings and the aspects of the BPCI Act that pertain to the biosimilars and biologics. This session on legal issues shall be very beneficial to research scientists from both academic backgrounds and also those from industry R&D. Biosimilars are the generic version of biological. It is the new buzz word in pharmaceutical industry. Biosimilars are highly similar to licensed reference product not withstanding minor differences in clinically inactive components; also there are no clinically meaningful differences between the biologicals and the reference product in terms of safety, purity, and potency. This track includes: Licensing of biosimilars, Biosimilars regulation, Patent issues, BLA filing for biosimilars, Biosimilars regulatory prospects of BRIC countries, a paradigm of traditional generics to Biosimilars, Biowaiver approval for Biosimilars and other aspects of Biosimilar approvals. Biosimilars 2018 will provide an excellent and global opportunity to the scientists, partners and pharma leaders from Biopharmaceutical and Biotechnology industries to innovate and to explore the strategic market for Biosimilars and Biologics with a clear picture of the regulatory approach for biosimilars and biologics. This track discuses about the generic drugs impact on global biosimilar market , Cost and risk management, Adopting innovative mechanisms such as risk-sharing arrangement, European market for biosimilars. The global market scenario with the launch of first biosimilar in the market forecasts some radical changes. This track will look upon such key concerns which are witnessed by the global pharma market and that are coming up with the subsequent launch of the other biosimilars and biologics. Despite these emerging facilities, biotherapeutic developers are most comfortable off-shoring to established markets—the US and Europe. We delightedly thank all our wonderful Keynote Speakers, Speakers, Conference Attendees, Students, Organizing Committee Members, Associations, Sponsors and Media Partners for making Biosimilars 2018 Conference a Successful event! Emerging Trends in Biosimilars Development and Approval”. Benevolent response and active participation was received from the Organizing Committee Members along with Scientists, Researchers, Students and leaders from various fields of biopharmaceuticals, biotherapeutics, medical groups, related associations, societies and related government agencies. Conference series LLC Ltd expresses its gratitude to the conference Moderators, namely Ha Kung Wong and Karlheinz Landauer for taking up the responsibility to coordinate during the sessions. We are indebted to your support. Similarly we also extend our appreciation towards our Chairs of the sessions for 2 days, namely Peter H Kalinka and Louis Boon. 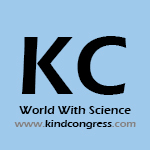 Conference Series offers its heartfelt appreciation to organizations such as EventsGet, Clocate, Kind Congress, Tabeeby, Technology Networks, Oncology Directory, Course for Doctors, Copybook, Event listing sites of Boston, and other eminent personalities namely Francois Xavier Frapaise, Peter Kalinka, Stanton Mehr, Ha Kung Wong and Karlheinz Landauer who supported the conference by promoting in various modes online and offline which helped the conference reach every nook and corner of the globe. I did enjoy meeting a number of new colleagues there, and enjoyed the opportunity to present. And onsite staff who were there were excellent.